Steve’s Sales & Services is owned by Steve Voightman of Oakes, ND. My company was founded in 1971. My focus is buying and selling old cable scrapers. The scrapers are converted over to hydraulics, sandblasted, repainted and completely refurbished. We use very heavy duty cylinders. The scrapers are used for agricultural, industrial, and landscaping purposes. The end product will be a piece of equipment that will last for many years. We take pride in our dependability, honesty, attention to detail, and a commitment to excellence. Please join the long list of satisfied customers. 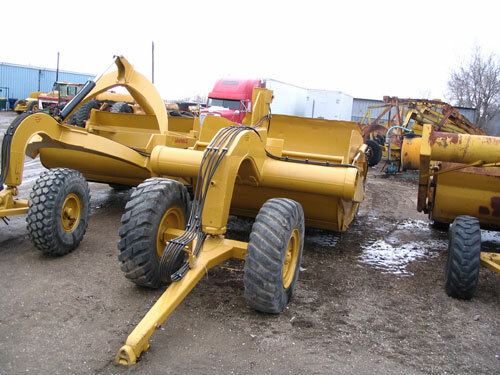 I have other items of interest for sale such as semitrucks, trailers, and farm equipment. I encourage you to check out the equipment I have available on my website. We are located at 121 Main on the west side of Oakes. I appreciate your interest in my company and I look forward to hearing from you to assist you in purchasing the equipment that you need.